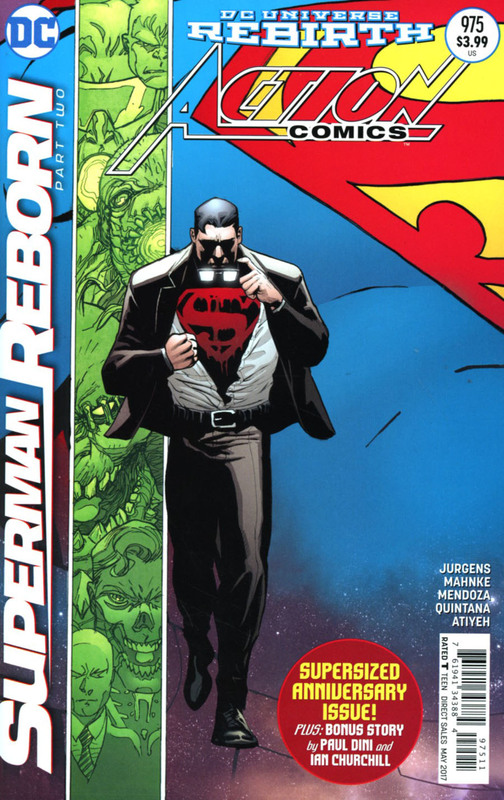 'SUPERMAN REBORN' part two! Celebrating our 975th issue with a supersize special as another layer of the Superman/Clark Kent mystery is exposed! And in a backup story written by Paul Dini with art by Ian Churchill, learn what it all means for the Son of Superman, who is the prize in a deadly game! The covers by Patrick Gleason and Mick Gray and the variant covers by Gary Frank for SUPERMAN #18-19 and ACTION COMICS #975-976 will connect to form a single vertical image.